The New Testament references to Baptism indicate both informality and flexibility in practice. By the Apostolic Age, the primary sacraments of Baptism and the Eucharist had been established. The Didache, or the Teaching of the Twelve Apostles, gives the earliest-known written instructions, outside the New Testament, for both Baptism and the Eucharist, the two foundational sacraments of Christianity. 1 Concerning baptism, baptise this way: Having first said all these things, baptise into the name of the Father, and of the Son, and of the Holy Spirit, in living water. 2 But if you have no living water, baptise into other water; and if you cannot do so in cold water, do so in warm. 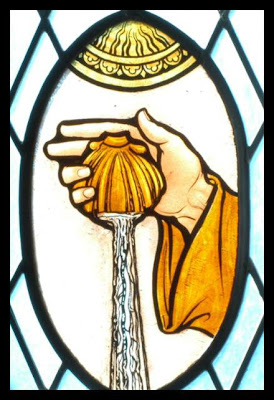 3 But if you have neither, pour out water three times upon the head into the name of Father and Son and Holy Spirit. Early Christian beliefs regarding Baptism are variable, but the theology of Baptism attained precision in the third and fourth centuries. 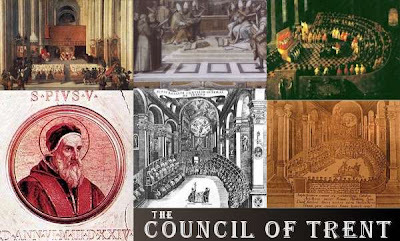 In the first centuries, prior to Constantine, when the Church was under constant persecution in many places, it was often forced to behave as a secret society. But in time, the ceremonies surrounding Baptism became increasingly elaborate, and increasingly specific instructions were given before Baptism, especially in the face of heresies in the fourth century. Many believers may have been catechumens for a long time, and the Emperor Constantine, for example, was not baptised until he was dying. But as the baptisms of the children of Christians became more common than the baptisms of adult converts, the number of catechumens decreased. Catechumenate: After initial inquiries, candidates were enrolled as catechumens. Some people were expected to give up their jobs, including soldiers, gladiators, actors, idol-makers, pimps and prostitutes. Each candidate had a sponsor who would vouch for character and act as a guide. This time could last up to three years, and included instruction in the faith and there were long periods of fasting, and candidates were exorcised from the effects of idolatry and false worship. Enrolment: 40 days before Easter, catechumens were enrolled in a book by the bishop. During those 40 days (which give us our modern Lent), candidates learned the Lord’s Prayer and a baptismal Creed. This was also a time of intensive prayer, fasting and further exorcisms. Vigil: this 40-day preparation culminated in an all-night Vigil leading up to Easter Day. In the darkness, the Paschal Candle was lit from the new fire, symbolising the light of the Risen Christ. The vigil readings recalled: God’s Spirit moving over the waters of Creation; the flood and the covenant with Noah; the Exodus through the waters of the Red Sea; Ezekiel’s vision of the dry bones clothed in flesh and coming to life; and Christ’s baptism by John in the Jordan. Baptism: Baptism took place at first light in a baptistery or a pool. The candidates were stripped naked, anointed with olive oil, the devil and all his works were renounced while facing the darkness in the west, and then, facing the rising dawn in the East, a three-fold covenant was declared with Christ. When the waters of Baptism were exorcised and blessed, each candidate was immersed in the water three times, in the name of the Father, and of the Son, and of the Holy Spirit. Baptism was followed immediately by chrismation and robing. The sign of the cross was made, usually with chrism, on the forehead (sometimes on all the senses, and even the hands, breast and feet), with a mixture of olive oil and balsam, symbolising entry into the royal priesthood of Christ and receiving the gift of the Holy Spirit. The newly-baptised were then dressed in a white robe, ‘putting on’ Christ as the Apostle Paul phrases it. In the Western Church, the bishop then laid hands on the newly-baptised, sometimes sealing their foreheads with oil, and prayed that they would receive the seven gifts of the Holy Spirit: wisdom, understanding, counsel, might, knowledge, faith and the fear of God (see Isaiah 19: 3). Baptism was followed by participation in the Easter Eucharist. As Baptism was believed to forgive sins, questions arose about sins committed after Baptism. Some insisted that apostasy, even under threat of death, and other grievous sins cut one off forever from the Church. Saint Cyprian and other Patristic writers favoured readmitting the lapsi easily, but they were readmitted only after a period of penance that demonstrated sincere repentance. In the Early Church, the baptism of adults was the norm. Indeed, Baptism was often deferred. In the Early Middle Ages, infant baptism became common. Alongside this, the concept of original sin developed, and the earlier common practice of delaying Baptism, even until the deathbed, was displaced. However, the concept of original sin arose from infant baptism, and not vice versa. Original sin is a concept that is peculiarly Western, and is still not accepted in the Orthodox East, where Baptism remains primarily incorporation in the Body of Christ. In the East, because the bishop had blessed the chrism, he did not need to be present for the Baptism, and Baptism, Chrismation and Communion remain one, integrated rite of initiation. In the Middle Ages in the west, the baptismal anointing with chrism developed into a separate sacramental rite of Confirmation. By the 12th to 14th centuries, the pouring of water over the candidate’s head was the usual way of administering Baptism in Western Europe, although immersion continued to be found in some places, even as late as the 16th century. 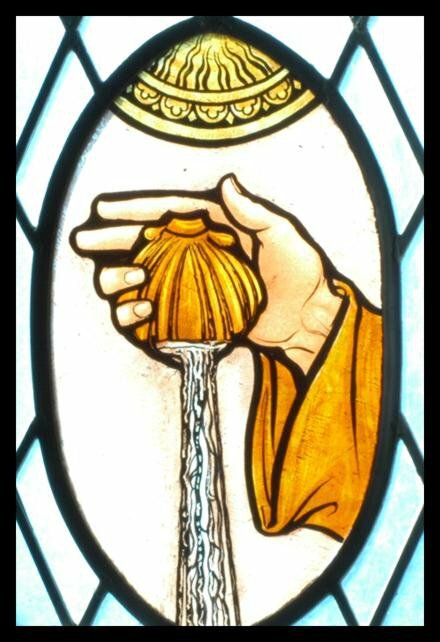 Both East and West considered washing with water and the Trinitarian baptismal formula necessary for administering the rite. Scholastic theologians referred to these two elements as the matter and the form of the sacrament, and both were considered necessary. In the 16th century, Martin Luther considered Baptism to be a sacrament. For the Lutherans, baptism is a ‘means of grace’ through which God creates and strengthens ‘saving faith’ as the ‘washing of regeneration’ (see Titus 3: 5), in which infants and adults are reborn (see John 3: 3-7). Since the creation of faith is exclusively God’s work, it does not depend on the actions of the one baptised, whether infant or adult. Even though baptised infants cannot articulate that faith, Luther believed that it is present all the same. Because it is faith alone that receives these divine gifts, Luther argues in his Large Catechism that infant baptism is God-pleasing because persons so baptised are reborn and sanctified by the Holy Spirit. 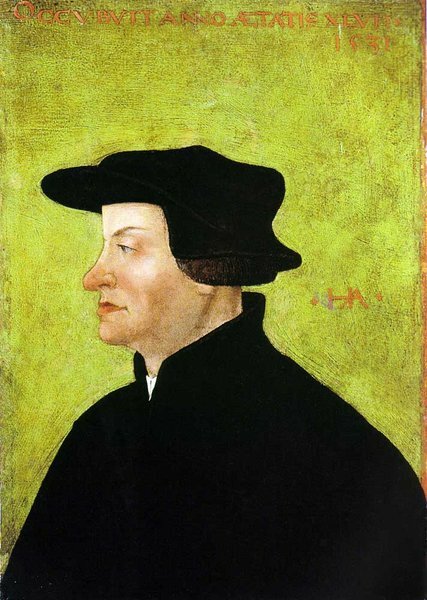 The Swiss Reformer Ulrich Zwingli differed from Luther, identifying Baptism as an initiation ceremony. The Anabaptists ‘re-baptised’ converts on the grounds that one cannot be baptised without wishing it, and that an infant has no requisite knowledge or understanding. Of course, they did not consider that they re-baptised those who had been baptised as infants, as they regarded infant baptism as without effect. 1 Μετὰ δὲ τὸ ἐμπλησθῆσαι οὗτως εὐχαριστήσατε• 2 Εὐχαριστοῦμέν σοι, πάτερ ἅγιε, ὑπὲρ τοῦ ἁγίου ὀνόματος σου, οὗ κατεσκήνωσας ἐν ταῖς καρδίαις ἡμῶν, καὶ ὑπὲρ τῆς γνώσεως καὶ πίστεως καὶ ἀθανασίας ἡμῖν διὰ Ἰησοῦ τοῦ παιδός σου• σοὶ ἡ δόξα εἰς τοὺς αἰῶνας. 3 σύ, δέσποτα παντοκράτορ, ἔκτισας τὰ πάντα ἕνεκεν τοῦ ὀνόματός σου, τροφήν τε καὶ ποτὸν ἔδωκας τοῖς ἀνθρώποις εἰς ἀπόλαυσιν, ἵνα σοι εὐχαριστήσωσιν, ἡμῖν δὲ ἐχαρίσω πνευματικὴν τροφὴν καὶ ποτὸν καὶ ζωὴν αἰώνιον διὰ τοῦ παιδός σου. 4 πρὸ πάντων εὐχαριστοῦμέν σοι, ὅτι δυνατὸς εἶ• σοὶ ἡ δόξα εἰς τοὺς αἰῶνας. 5 μνήσθητι, κύριε, τῆς ἐκκλησίας σου, τοῦ ῥύσασθαι αὐτὴν ἐν τῇ ἀγάπῃ σου, καὶ σύναξον αὐτὴν ἀπὸ τῶν τεσσάρων ἀνέμων, τὴν ἁγιασθεῖσαν, εἰς τὴν σὴν βασιλείαν, ἣν ἡτοίμασας αὐτῇ• ὅτι σοῦ ἐστιν ἡ δύναμις καὶ ἡ δόξα εἰς τοὺς αἰῶνας. 6 ἐλθέτω χάρις καὶ παρελθέτω ὁ κόσμος οὗτος. Ὡσαννὰ τῷ θεῷ Δαείδ. εἴ τις ἅγιός ἐστιν, ἐρχέθω• εἴ τις οὐκ ἔστι, μετανοείτω• μαρὰν ἀθά• ἀμήν. 7 τοῖς δὲ προφήταις ἐπιτρέπετε εὐχαριστεῖν ὅσα θέλουσιν. 3 ‘Thou, O Almighty Lord, hast created all things for thine own Name’s sake; to all men thou hast given meat and drink to enjoy, that they might give thanks to thee, but to us thou hast graciously given spiritual meat and drink, together with life eternal, through thy Servant. 4 Especially, and above all, do we give thanks to thee because for mightiness of thy power. 5 ‘Be mindful of thy Church, O Lord; deliver it from all evil, perfect it in thy love, sanctify it, and gather it from the four winds into the kingdom which thou hast prepared for it. ‘Thine is the power and the glory for ever and ever. 2 πρωτον περι του ποτηριου, ευχαριστουμεν σοι, πατερ ημων, υπερ της αγιας αμπελου δαυιδ του παιδος σου, ης εγνωρισας ημιν δια Ιησου του παιδος σου, σοι η δοξα εις τους αιωνας. 3 περι δε του κλασματος, ευχαριστουμεν σοι, πατερ ημων, υπερ της ζωης και γνωσεως, ης εγνωρισας ημιν δια Ιησου του παιδος σου. σοι η δοξα εις τους αιωνας. 4 ωσπερ ην τουτο [το] κλασμα διεσκορπισμενον επανω των ορεων και συναχθεν εγενετο εν, ουτω συναχθητω σου η εκκλησια απο των περατων της γης εις την σην βασιλειαν, οτι σου εστιν η δοξα και η δυναμις δια Ιησου Xριστου εις τους αιωνας. 5 μηδεις δε φαγετω μηδε πιετω απο της ευχαριστιας υμων, αλλ' οι βαπτισθεντες εις ονομα κυριου, και γαρ περι τουτου ειρηκεν ο κυριος. μη δωτε το αγιον τοις κυσι. 1 Κατὰ κυριακὴν δὲ κυρίου συναχθέντες κλάσατε ἄρτον καὶ εὐχαριστήσατε, προεξομολογησάμενοι τὰ παραπτώματα ὑμῶν, ὅπως καθαρὰ ἡ θυσία ὑμῶν ᾐ. 2 πᾶς δὲ ἔχων τὴν ἀμφιβολίαν μετὰ τοῦ ἑταίρου αὐτοῦ μὴ συνελθέτω ὑμῖν, ἕως οὗ διαλλαγῶσιν, ἵνα μὴ κοινωθῇ ἡ θυσία ὑμῶν. 3 αὕτη γάρ ἐστιν ἡ ῥηθεῖσα ὑπὸ κυρίου• Ἐν παντὶ τόπὼ καὶ χρόνῳ προσφέρειν μοι θυσίαν καθαράν. ὅτι βασιλεὺς μέγας εἰμί, λέγει κύριος, καὶ τὸ ὄνομά μου θαυμαστὸν ἐν τοῖς ἔθνεσι. 1 Assemble on the Lord’s Day, and break bread, and offer the Eucharist; but first make confession of your faults, so that your sacrifice may be a pure one. 2 Anyone who has a difference with his fellow is not to take part with you until they have been reconciled, so as to avoid any profanation of your sacrifice. 3 For this is the offering of which the Lord has said, Everywhere and always bring me a sacrifice that is undefiled, for I am a great king, says the Lord, and my name is the wonder of the nations. ... (T)he Eucharist is the flesh of our Saviour Jesus Christ, which flesh suffered for our sins, and which in his loving-kindness the Father raised up … Let that Eucharist alone be considered valid which is under the bishop or him to whom he commits it. … It is not lawful apart from the bishop either to baptise, or to hold a love-feast. But whatsoever he approves, that also is well-pleasing to God, that everything which you do may be secure and valid. – Ignatius, Letter to the Smyrnaeans, 6: 8. Give heed to keep one Eucharist. For there is one flesh of our Lord Jesus Christ, and one cup unto union with His blood. There is one altar, as there is one bishop, together with the presbytery and deacons, my fellow-servants; that whatsoever you do, you may do according unto God. – Ignatius, Letter to the Philadelphians, 4. Justin Martyr speaks of it as more than a meal: ‘The food over which the prayer of thanksgiving, the word received from Christ, has been said ... is the flesh and blood of this Jesus who became flesh ... and the deacons carry some to those who are absent’ (see Justin Martyr, First Apology, 65-67). The early liturgies before the Councils of Nicaea and Constantinople, including the Anaphora of Addai and Mari, display both diversity and plurality in texts and practices. Those different orders for liturgy are not always due to accidental dislocation or copyists’ errors. This was ‘living literature,’ constantly growing, changing, and evolving. The various church orders are not the works of a single author, but the work of a succession of editors who shaped the stream of the tradition. As time passed, the focus of the church orders changed, and their ‘apostolic’ pedigrees needed to be underscored and reinforced. The editors were prescribing rather than describing actual practice. But eventually, apostolic fiction ceased to be used as a source of authority and liturgical texts derived their authority instead from living bishops. Liturgical documents before the fourth century are limited for the early Church was not “producing” liturgies but focusing on celebrating the Eucharist and surviving persecution. With Constantine’s edict of toleration in 313 AD, the Church found a new role in society, ministering in a public forum, and needing a much broader missionary effort, and later responding to the appearance of heresies in the fourth century, especially of Arianism. Now there were efforts to add beauty through music, iconography, vestments, ceremonial, and theological instruction. There were many different and legitimate liturgical forms in the first few hundred years of Christianity. So, why then, in both East and West, are there essentially only one or two forms today? Ultimately, the survival of one liturgy over others had more to do with non-liturgical factors. In the Eastern Church, the Divine Liturgy of Saint John Chrysostom became the principal form as it was the one favoured in Constantinople, the capital of the Eastern Empire. In the West, the Roman rite came to predominate because it was the rite used in the capital of the Western Empire. At first, the Eucharist was for believers only, and was closed to non-believers. With the end of persecution and the growth of public worship, there was no more need for the separate services that had existed – the Synaxis or meeting which was open to all, including the catechumens, and the Eucharist, which was only for baptised Christians. By the end of the 6th century, the two rites, with overlapping components, had incorporated into each other. Synaxis or ‘Meeting’: Greeting and Response; Lections interspersed with Psalmody; Sermon; Dismissal of Catechumens; Intercessory Prayers; Benediction. Eucharist: Greeting and Response; Kiss of Peace; Offertory; Eucharistic Prayer; Fraction; Communion; Benediction. These two services were fused together to form two parts of the one celebration, with the addition of hymns, expanded use of litanies, and the Nicene Creed. ● those incorporated into the conclusions. 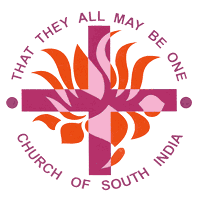 ● The assembly of the Church. ● and finally the Communion. The principal differences in rites began to develop around the introductory parts of the service – the introduction to what had originally been the Synaxis. The clergy could now publicly approach and enter the churches, and this provided the opportunity for ceremony, including preliminary censings and the singing of Psalms. When we speak of liturgical development in the West, this includes Africa, Rome and North Italy, and in the Celtic region. The works of Pope Leo I (440-461), Pope Vigilius (537-555) and Pope Gregory the Great (590-604) are all important for the Western rite. The dominant features of the Roman liturgy were established by Pope Gregory the Great, but two works, the Canons of Hippolytus and the Apostolic Tradition, are foundational to the Roman rite. The rite was influenced also by a number of sacramentaries, or prayers that the bishops said during the celebrations, including the Gallican and Gregorian sacramentaries. The liturgical history of the Western Church was also shaped by the impact of the barbarian invasions. Greek was the common language throughout the Empire, even at its peak. Latin was the official language of the state, but was in common usage only in Rome and parts of Italy. Greek was the common language of the Empire, but Latin became the official liturgical language of the Western Church – and remained so for the majority of Roman Catholics until Vatican II in 1962. 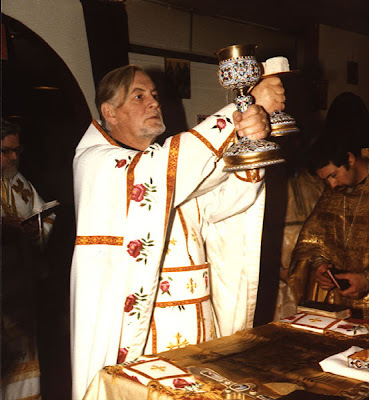 Despite the appearance of uniformity because of Latin for many centuries, Western liturgy included many rites that developed in the first few centuries, with the addition of prayers and other elements related to the Eucharist. The variety of rites included the Ambrosian (Milan and northern Italy), Gallican (France) and Mozarabic (Toledo) rites. The informal character of the pre-Nicene liturgy gave way to a more structured style. Along with this came decentralisation of the leadership in worship: the bishop alone could no longer attend to the worship needs in any city or town, and the presidency of the presbyter became an important factor. With greater numbers, and fears that new converts might introduce pagan influences, more attention was paid too to catechism or teaching. 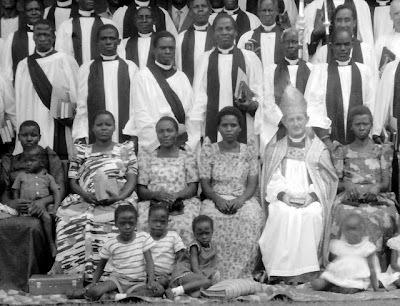 But there was a widening gap between priest and people, which eventually became such a chasm that the people became de facto spectators as the priests performed the liturgy on their behalf. Bishops, priests and deacons were given places in the hierarchical system and social scale of the state, with titles and insignia corresponding to their ranks. And so, some aspects of liturgical dress developed too. For example, the Apostolic Constitution VIII directs the bishop to celebrate the Eucharist clad in ‘splendid raiment,’ probably a simple reference to the dress of the upper class. The period from the mid-fourth century to the end of the seventh century was a creative period for the documentation of the liturgical texts. This was the period of the great schisms, so great care was taken to ensure that the language of the liturgy was orthodox. From the eighth century on, there is a trend towards re-working old formulas rather than composing new ones. Where difference was tolerated it was only so long as it was not heretical. The language of the early Roman rite before Gregory the Great may have been Greek. However, more and more Latin was used over time, although Greek was retained in specific sections such as the Kyrie and the Triságion (Τρισάγιον or Sanctus). The transition from Greek to Latin was accelerated by the Barbarian invasions of Europe. With the revision of the rite by Pope Gregory the Great in 595, liturgical form and musical practice throughout the Western Church became similar. This rite remained so through to the 8th or 9th century. In 754, the Emperor Pepin, in the presence of Pope Stephen II, made it obligatory by royal decree to use the Gregorian liturgy in his kingdom. But his efforts failed – in the 8th century, long before printing, it was impossible to provide all churches with the requisite books. Other rites emerged and developed in the West, but Rome continued to exert singular influence. Charlemagne’s father sent emissaries to Rome, and they were so amazed that the Roman liturgy became in their eyes the most exalted expression of the civilisation they wished to promote. Using the Gregorian liturgical rite and chant in Rome, Charlemagne set out to create a liturgical and musical standard for his new Holy Roman Empire. The result was a uniform liturgical rite for the Roman Catholic Church, and the form of liturgical music we now call Gregorian Chant. This marks the beginning of the end for the other local Western rites, and assured the place of Latin as the liturgical language of the West. 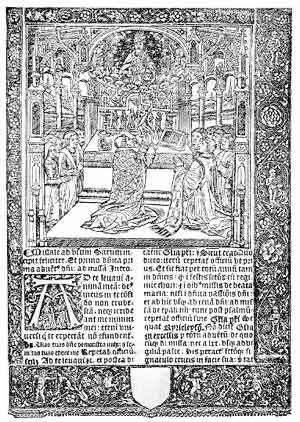 From then on, the tendency was to impose the Latin rite within the Roman Empire – in much the same way as the king later insisted on the use of The Book of Common Prayer in the Tudor, Jacobean and Caroline realm. 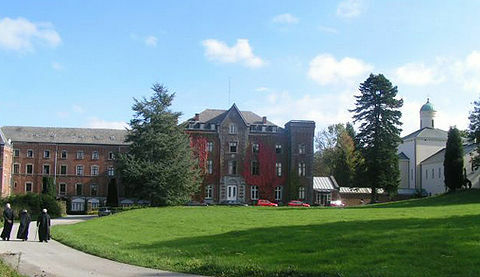 At the same time, cathedral offices were developing. To these we owe much of our ceremonial, and the use of canticles, fixed psalms, metric hymns and litanies. This period also saw the development of the Church calendar, and of rites associated with baptism, ordination, marriage and burial. 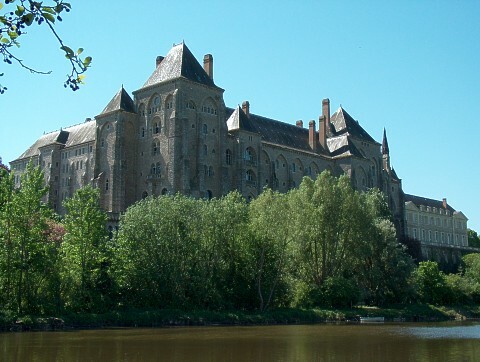 Many of our services today originate in the offices in the monasteries and mediaeval cathedrals. The Western Syrian Rite includes the Syrian rite of Antioch, and the Maronite, Byzantine and Armenian rites. 1, The works of Saint John Chrysostom (e.g., see his prayer in The Book of Common Prayer, pp 100, 174). 2, The Disdascalia Apostolorum of Theodore of Mopsuestia (d. 428), from which we get major sections of the baptismal liturgy (the renouncing of Satan etc.). The Byzantine rite is the liturgy of Constantinople; a feature of this rite and other Western Syrian liturgies is that the intercessions precede the epiclesis. The Eastern Syrian Rite includes the Nestorian, Chaldean and Malabar rites, and, of course, the Anaphora of Addai and Mari. The Alexandrian rites include the Coptic (Egyptian) and Ethiopian liturgies. While the Western Empire and culture crumbled under the Barbarian invasions and in the Dark Ages, the Eastern empire remained essentially intact and united, centred on Byzantium, the capital built by Constantine as his “New Rome” in 330 AD. 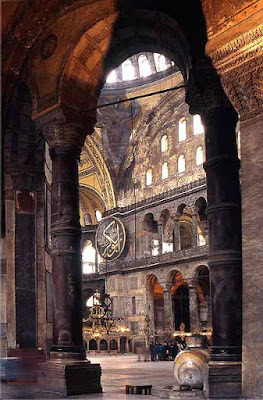 Byzantine culture, with its sense of the aesthetic and the beautiful, allowed the expression of the faith and worship to flower. In addition, the battle against the major heresies was principally fought in the East, and the results of this are reflected in the Eastern rites. 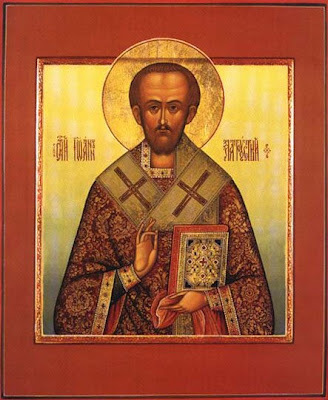 One of the great gifts of Byzantine worship is the Divine Liturgy of Saint John Chrysostom. The finalisation of this liturgy took place in the reign of Justinian the Great (527-565), but it was in continuity with the liturgical traditions of the early Church. As Patriarch of Constantinople, Saint John Chrysostom (349-407) brought liturgical traditions from Antioch to Constantinople. The Liturgy of Saint John Chrysostom, refined and beautified in Byzantium, eventually became the liturgical norm throughout the Byzantine Empire. It reflects a highly refined aesthetic of beauty and majesty, tradition and mystery, and a highly developed theology. It reflects too the works of the Cappadocian Fathers both in combating heresy and in defining the Trinitarian theology for the Church. The Liturgy of Saint Basil follows the same structural form, differing only in the prayers of the priest, and is characterised by a much more extensive biblical imagery. 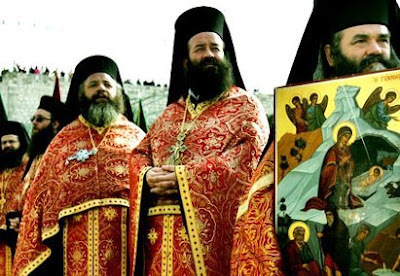 Two interesting practices and developments in the Eastern liturgy at this time are the Litanies and the Triságion hymn (the Trinitarian hymn ‘Holy God, Holy Mighty, Holy Immortal, have mercy on us’), which is deeply Trinitarian and anti-Arian in character. By the seventh century, the compilation of the Divine Liturgy was essentially complete in the East. The lack of change for over 800 years has a great bearing on the Orthodox understanding of the unchanging nature of the Divine Liturgy. ● and when they did celebrate the liturgy they manage to offend both the laity and the clergy. 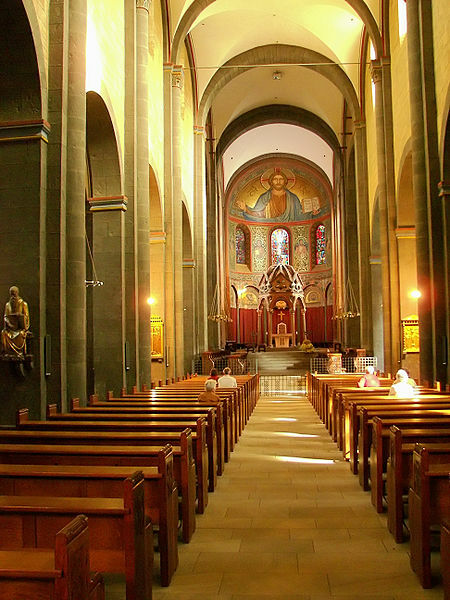 Charlemagne’s reforms created a common liturgical practice throughout most of Europe. But a great deal of innovation and variation was tolerated, with variations from country to country, church to church, monastery to monastery, and manuscript to manuscript. Liturgical change often occurred because of spontaneous evolution, such as the addition of the sequence to the Mass, with a variety of textual and musical forms. The Middle Ages saw the development of polyphonic choral singing. Later liturgical texts were set to new polyphonic compositions, sometimes so elaborate that the texts were no longer intelligible to the listeners. 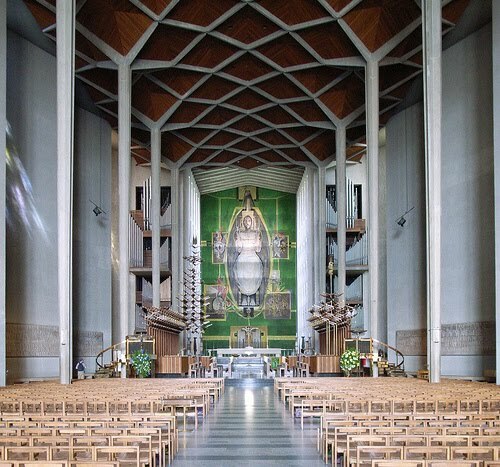 Meanwhile, the private prayers of the celebrant were finding their way into the public celebrations of the liturgy, with some of them copied into the official texts in some Mass books. 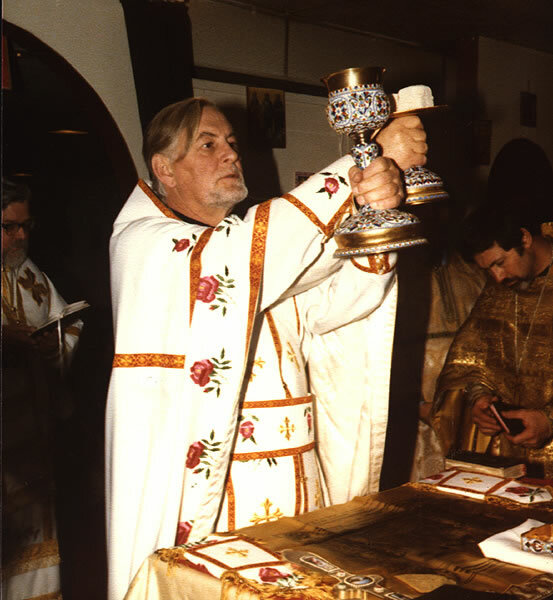 The people were gradually alienated and developed a preference for extra-liturgical devotions. The increasing complexity and length of the services made liturgical leadership a learned profession. At the same time, the multiplication of the number of feasts reached a new pitch – so that almost every day was the feast of a saint. With so many variations, there was an urgent need for rationalisation. Pope Gregory VII initiated a series of general reforms in Church life at the end of the 11th century, and under Innocent III the Roman Curia edited its own version of the Mass book, paving the way for the transformation from sacramentary to missal. 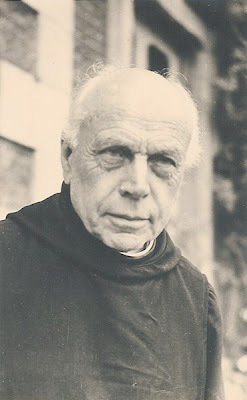 However, the real impetus for reform came from the larger reformed monastic communities, such as the Benedictines of Cluny, the Cistercians, the Carthusians and the Premonstratensians (Norbertines), which carefully provided for detailed and regulated celebrations of the Eucharist. The itinerant orders, including the Dominicans and Franciscans, realised they too were vulnerable to liturgical idiosyncrasies and needed liturgical stability. The Franciscans helped the wide distribution and use of the Roman liturgy through adopting the Missale secundum usum Romanae curiae. The introduction of printing would help to make the Missal prevalent throughout Western Europe until the Reformations, the Council of Trent and the reign of Pope Pius V.
During the late Middle Ages, special rites were found in particular churches. For non-solemn masses, there was practically no direction, since these were simple and plain. Some centres – such as Lyons, Salisbury, Hereford and York – developed their own rites and often influenced the liturgical celebration and the order of the area within which such areas were to be found. So what was happening in these islands? 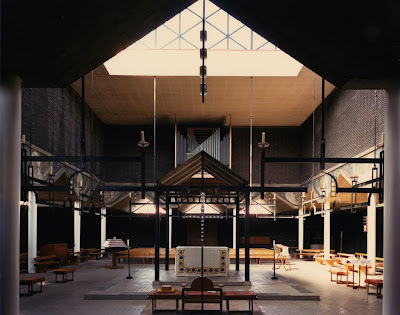 So, what about the liturgical practices of the ‘Celtic’ Church? The earliest rite recorded may date to the time of Patrick, when the bishops or founders of churches in Ireland were said to have one head, Christ, one leader, Patrick, one Mass, one tonsure, and one Easter. 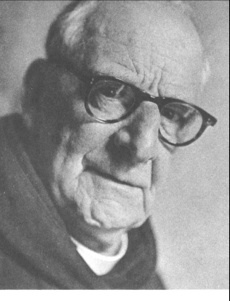 At a second stage the bishops in Ireland were said to be few in number with many priests. They had one head, Christ, had different Masses, one Easter, and one tonsure. At a third stage, the bishops, priests, hermits and monks had different Masses, different rules, different tonsures and different Easters. The Roman Easter was accepted in southern parts of Ireland in 626-628, but was not accepted in northern parts until 692. In the 12th century, the separate Irish Rite that was in use throughout most of Ireland was abolished. At the Synod of Cashel in 1172 a Roman Rite juxta quod Anglicana observat Ecclesia was finally substituted. 3, some differences in the manner of baptising. 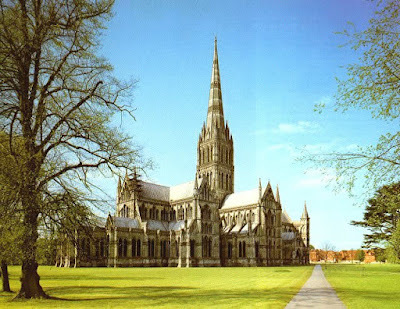 It was originally the local Use of the Cathedral and Diocese of Salisbury, but eventually became prevalent in these islands, particularly in southern England. At the English Reformation, Sarum became the only sanctioned use throughout England, until the introduction of Anglican liturgies in English during the reign of Edward VI. The Use of Sarum, though, was revived during the reign of Mary I and continued to be used by Roman Catholic clergy for some time after, before being replaced by the Tridentine usage. Osmund, who was appointed Bishop of Salisbury (Latin Sarum) in 1078 by William the Conqueror, initiated some revisions to the existing Celtic-Anglo-Saxon rite and the local adaptations of the Roman Rite, drawing on both Norman and Anglo-Saxon traditions. These reforms were particularly inspired by the liturgical usage of Rouen in northern France. These revisions resulted in compiling a new Missal, Breviary, and other liturgical manuals, which came to be used throughout southern England, Wales, and parts of Ireland. Inspired by Sarum, some dioceses issued their own missals, with effectively distinct uses developing in Hereford, York, Bangor and Aberdeen, while other missals (e.g., Lincoln or Westminster Abbey) differed from Sarum only in details. The influence of Sarum was found as far away as Norway and Portugal. 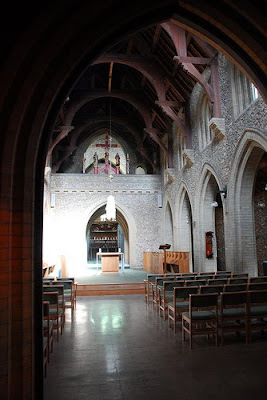 In addition, the liturgical reforms at Sarum gave us the structures we now have for cathedral chapters and administration in many Anglican cathedrals. 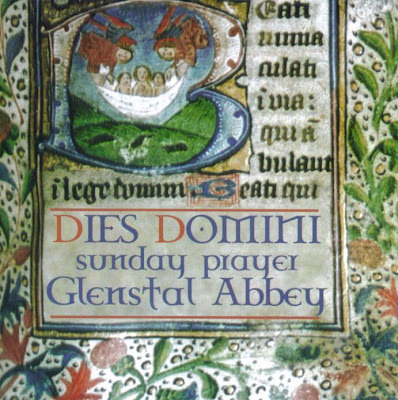 The Sarum liturgy is very sumptuous when performed fully, and the Mass of Sundays and great feasts was a splendid affair. There were up to four sacred ministers: priest, deacon, subdeacon and acolyte. It was customary to visit in procession all the altars of the church and cense them, ending at the great rood screen, where antiphons and collects were sung. Finally, at the screen would be read the Bidding Prayers, prayers in the vernacular directing the people to pray for various intentions. The procession then went to vest for Mass, usually at the altar where Mass was to be celebrated. ● the Particle was put into the chalice after the Agnus Dei. ● Sundays were named after Trinity, not after Pentecost (as in the Roman Use). ● Communion under one kind was followed by a ‘rinse’ of unconsecrated wine. ● The Last Gospel (John I) was read while the priest made his way back to the sacristy. ● Two candles on the altar were customary, though others were placed around it and on the rood screen. ● Instead of the genuflection a low bow was customary. But the Sarum Use was extensive and complicated, and a number of books was needed for all the liturgies. And so we find Cranmer’s criticisms of it in the Preface of the 1549 Book of Common Prayer. The priest’s part was contained in the Missal, the choir required another book, and yet another book gave the unique parts for each day. The Scripture readings changed from day to day, and there were many other differences (prayers, etc.) from one day to the next. The Missal was divided into two parts: the Ordinary, and the Canon, the latter corresponding approximately to the Eucharistic Prayer we know today. The Canon was fairly similar among the three or four Masses employed in England; the Ordinary less so. The Sarum rite became the liturgical form used in most of the English Church until the mid-16th century and was the first Liturgy sanctioned at the Reformation by the Church of England in the 1530s (and was reintroduced in England under Mary I). But apart from the similarities, there are many more differences. The general outline of the service, and many of the prayers of the Canon, are quite similar, many other parts, particularly the rubrics involving with the priest’s actions, were drastically changed and simplified. 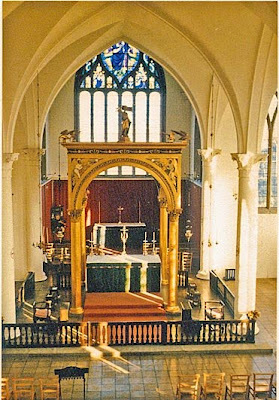 Many of the practices of the Sarum Use – though not the full liturgy itself – were revived in England in the late 19th and early 20th centuries, as part of the Anglo-Catholic movement. The greatest challenge to the liturgical practices and tradition of the Western Church came with the Reformations. The Reformers questioned the sacrificial nature of the Mass and nature of the Real Presence in the Eucharist, dismissed many liturgical practices as superstitious and called for worship in the vernacular languages rather than Latin. The Reformations and the traditions that developed from them have direct connections, as responses to, with the late mediaeval liturgical practices in the Western Church, especially in the 14th and 15th centuries. ● the development of various services that undercut the corporate nature of the Eucharistic and liturgical action. The priesthood of the priest became isolated from the corporate offering. The theory developed that there was a separate value in the sacrifice of the Mass from the sacrifice of Calvary. The liturgy of the laity was eliminated from the offering and communion, which became a part of the celebrant’s “liturgy” and nobody else’s. The role of the laity was reduced to ‘seeing’ and ‘hearing’ – and hearing was reduced in importance through the use of Latin, so that an over-emphasis was then placed on ‘seeing’ the consecrated sacrament. As a consequence, the whole devotional emphasis in the rite was placed on the consecration and the conversion of the elements. And so, late mediaeval liturgical developments were steadily building up the material for all the doctrinal controversies about the Eucharist in the 16th century. In the 14th and 15th centuries, the laity was moved further away from the Eucharistic action and to infrequent communion (a practice foreign to the early Church, but which had been developing since at the 8th century). ● the low Mass, performed publicly with the laity attending, but said in a low voice, short in length, and mainly a convenience for the clergy to celebrate the liturgy frequently, and within which the laity seldom received communion. The shift from the ancient corporate worship of the Eucharist resulted in a personal subjective devotion on the part of each worshipper. In place of the reception of the Eucharist, there was a set of Eucharistic devotions, with meditations followed by the laity instead of entering into the Eucharistic action and taking part in the Eucharistic prayers – which were in Latin and generally not understood. Not only did the laity feel excluded from the action, but they were given a different role to play – almost the opposite of the role of the laity in the early Church. With this came the loss of the eschatological concept of the Eucharistic rite for the Western Church. Instead of a focus on the Resurrection and Ascension (transcendent, timeless and eternal aspects of the faith), the emphasis shifted to the Passion of Calvary (an event within history). While the clergy still said the Eucharistic prayers that contained the timeless and eternal, the laity did not hear or understand them, and their focus was on the suffering Christ on the cross, and in meditations on the sufferings of Christ. If the passion was totally in the past, then it appeared there were only two ways for the Church to participate in an historic passion in the past: either mentally by remembering and imagining it; or by some sort of repetition of it. In other words, if the Eucharist was to have any reality outside of the mental remembering, then there was a need for a fresh sacrifice. This forced the mediaeval understanding of the reality of the Eucharistic sacrifice, that the priest sacrifices Christ anew at each Mass. This was the theological and liturgical understanding that was taught throughout the Western Church prior to the Reformations. The liturgics of the Evangelical/Lutheran reformation and that of the Anglican/Episcopal reformation are both based in a sacramental understanding of the universe, which sees the gift of salvation and of grace mediated to the recipient through the sacrament properly administered. Because of this understanding, both traditions have maintained the visual, aural, tactile (and sometimes olfactory) elements which had been handed down from the mediaeval Church. 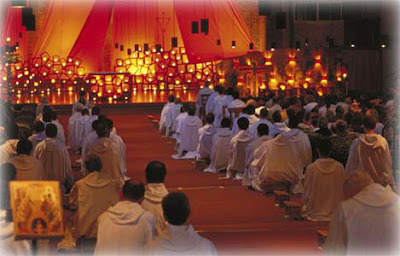 These include candles, vestments, altar, cross/crucifix, chanted/chorally-led services, the physical elements such as the sign of the cross, kneeling, the liturgical year, the provision of a lectionary, processions, and also the sign of the cross at Baptism, the use of rings at marriage rite, and even the use of incense. The day was still hallowed with Matins (Morning Prayer) and Evensong (Evening Prayer), provision was made for private confession and absolution, and the three-fold ministry of bishop, priest and deacon was retained, with Episcopal ordination. Liturgical music continued to develop, specifically for the Eucharist and the Offices, and was greatly enriched by composers from these traditions. The primary theological development for Lutherans is traced from Martin Luther (1483-1546), Philipp Melanchthon, and the Lutheran Book of Concord of the 16th century. 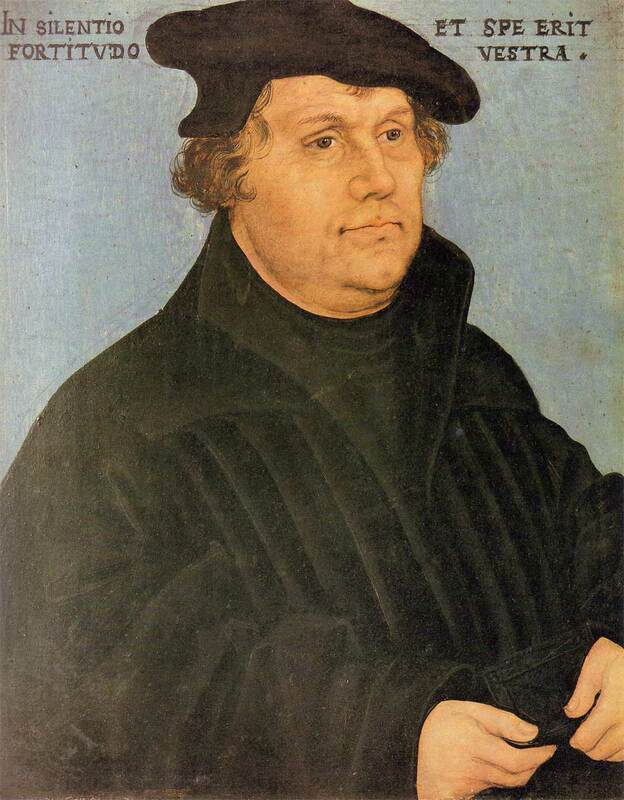 Luther’s German Mass of 1526 provided for weekday services and for catechetical instruction. He strongly objected, however, to making a new law of the forms and urged the retention of other good liturgies. He sought liturgical uniformity, seeing in it an expression of unity in the faith. 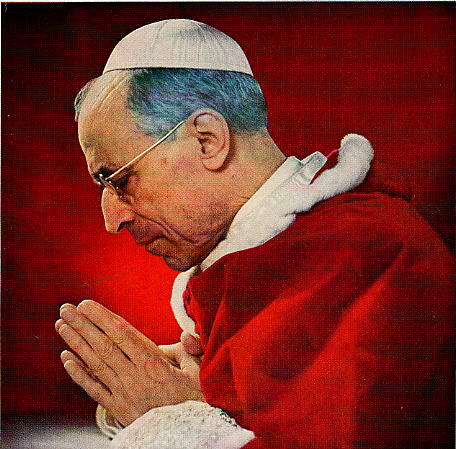 He was content to conserve and reform what the Church had inherited from the past. Luther condemned and eliminated those parts of the Mass that taught that the Eucharist was a propitiatory sacrifice and the Body and Blood of Christ by transubstantiation, but retained the use of historic liturgical forms and customs. Lutherans generally speak of only two sacraments: Holy Baptism and the Sacrament of the Altar or the Lord’s Supper. They teach that Baptism is a work of God, founded on the word and promise of Christ [Martin Luther, Small Catechism, 4], and so it is administered to both infants and adults. When it comes to the Eucharist or Lord’s Supper, Lutherans believe that the true body and blood of Christ are ‘in, with and under’ the bread and wine (I Corinthians 10: 16, 11: 27). The majority of Lutherans have preserved a liturgical approach to the Eucharist, regarding Holy Communion (or the Lord’s Supper) as the central act of Christian worship. The Book of Concord assumes the weekly celebration of the Eucharist as a confessional standard for Lutheran churches. Lutherans believe that the Body and Blood of Christ are ‘truly and substantially present in, with and under the forms’ of the consecrated bread and wine (the elements), so that communicants eat and drink both the elements and the true Body and Blood of Christ himself (c.f. Augsburg Confession, Article 10) in the Sacrament of Holy Communion. Many Reformed Christians, particularly those who follow John Calvin, hold that Christ’s body and blood do not come down to inhabit the elements, but that “the Spirit truly unites things separated in space” (Calvin). Following a phrase of Augustine, the Calvinist view is that ‘no one bears away from this Sacrament more than is gathered with the vessel of faith.’ John Calvin (1509-1564) said: ‘The flesh and blood of Christ are no less truly given to the unworthy than to God’s elect believers.’ But those who partake by faith receive benefit from Christ, and the unbelieving are condemned by partaking. By faith (not a mere mental apprehension), and in the Holy Spirit, the partaker beholds God incarnate, and in the same sense touches him with hands, so that by eating and drinking of bread and wine Christ’s actual presence penetrates to the heart of the believer more nearly than food swallowed with the mouth can enter in. 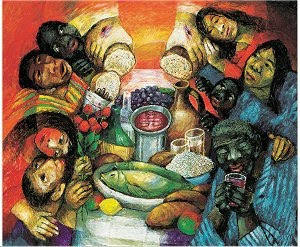 Some Reformed groups see Communion (the Lord’s Supper or the Lord’s Table) as a symbolic meal, a memorial of the Last Supper and the Passion in which nothing miraculous occurs. This view is known as the Zwinglian view. Zwingli also reduced the celebration of the Eucharist to four times a year. He intended a re-enactment of the Lord’s Supper as recorded in the New Testament. He taught the sacrament to be purely symbolic and memorial in character. On the many Sundays when the Lord’s Supper was not to be celebrated, Zwingli observed a Liturgy of the Word, including a sermon. The first Scots Confession said of Zwingli’s teaching: ‘We utterly damn the vanity of those who affirm sacraments to be nothing else but naked and bare signs.’ The Calvinist-Presbyterian understanding of the Lord’s Supper is found in the first Scots Confession: ‘We spiritually eat the flesh of Christ, and drink his blood; then we dwell in Christ, and Christ in us; we be one with Christ, and Christ with us.’ Unlike Zwingli, the work of Calvin in Geneva and that of Knox in Scotland had printed orders of worship. 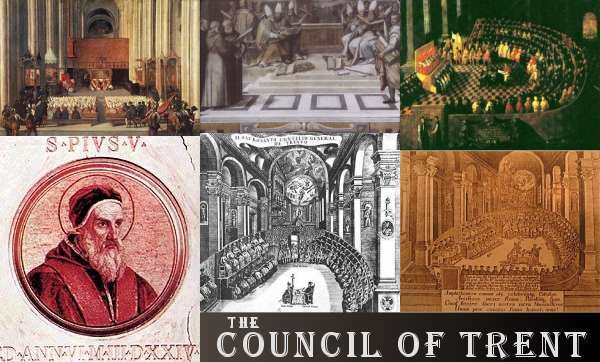 In response to the Reformers, the Council of Trent (1545-1563) affirmed the Roman Catholic traditional beliefs in the sacrificial nature of the Eucharist and in the doctrine of the Real Presence. It also called for the continued used of Latin in liturgy, although there was no specific condemnation of the use of vernacular. In the Missal of Pius V (1580), the Mass retained the same general shape it had at the time of Charlemagne, and every liturgical detail was the subject of intense regulation. Thus, the liturgy took an unusual form: instead of a Christian community gathering and together celebrating the Eucharist, the Mass appeared more and more like a ritual performed by a single priest on behalf of the congregation, whose members were mere spectators watching the action. As we have seen, the people had become alienated, by stages, from the liturgy. The silent prayers, the difficulty in following the Mass both because of the use of Latin and the difficulty in finding your way through the complicated rules and instructions, the private masses, and the growing perception of the Mass as something performed by the priest, with the laity as mere spectators, helped to consolidate this feeling of alienation. ● ‘Easy as pie’ is a saying that rests on irony, for the ‘Pie’ or ‘Pica’, the directory setting out instructions for services, was anything but easy to follow – and Cranmer disparaged the “pie” in his introduction to the 1549 Book of Common Prayer. ● ‘Hocus pocus’ comes from an irreverent reference to the actions and Latin words used by the priest at the moment of consecration. Many people found spiritual comfort instead in popular devotions during the Mass. There was infrequent reception – often difficult to enforce even once a year – and the alienation of the people was furthered by reception in one kind only. With the invention of printing, the Sarum Manual was printed in 1508, followed by the York Manual in 1509, and the first Sarum Missal in 1526. And so the first Book of Common Prayer (1549) was both the child of worship in the preceding centuries and a product of the Reformation. And it was a child of its time – for the concept of a Book of Common Prayer would have been impossible without the translated Bible and without printing. 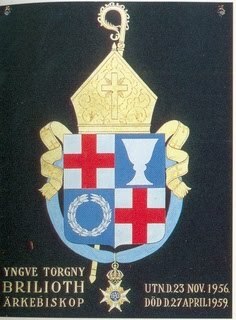 The historical position of Anglicanism on the Eucharist is found in Article 28 of the 39 Articles (1571), which state ‘the Bread which we break is a partaking of the Body of Christ’ and that ‘the Cup of Blessing is a partaking of the Blood of Christ.’ The capitalisation of the terms ‘Bread’ and ‘Wine’ and the corresponding words ‘Body’ and ‘Blood’ may reflect the wide range of theological beliefs about the Eucharist among Anglicans. The Articles also state that adoration, or worship per se, of the consecrated elements was not commanded by Christ and that those who receive unworthily do not actually receive Christ but rather their own condemnation. ● The decision to set up Coverdale’s English translation of the Bible in every church in England (1536). ● The publication of the Ten Articles (1536). ● Latimer’s call for baptism and matrimony in English (1536). ● In 1538 it was stipulated that the Bible should be placed in every church, that the Creed, the Lord’s Prayer and the 10 Commandments should recited in English, and that no-one should be admitted to Holy Communion without having learnt them. ● The publication of the Six Articles in June 1539, reaffirming traditional beliefs, including transubstantiation, communion in one kind, private confession, clerical celibacy and monastic vows. ● By 1542, Archbishop Thomas Cranmer (1489-1556) of Canterbury was suggesting that the traditional service books should be revised. ● A ruling in 1543 that there should be one use of the liturgy throughout the realm. ● The first English-language Exhortation and Litany was introduced in 1544. This Litany was the first English-language service. Introduced at the time of the English invasion of France, it included a three-fold invocation of the Blessed Virgin Mary, the angels and the saints. The collects at the end included one introduced from the Byzantine liturgy of the east – the so-called Prayer of Saint Chrysostom, which became a classic of Prayer Book spirituality. This is Cranmer’s first work, the earliest English-language service book of the Church of England. It borrowed greatly from Luther’s Litany and Coverdale’s New Testament, and was the only service that might be considered “Protestant” from the reign of Henry VIII. ● Edward VI succeeds his father on the throne in January 1547. ● The First Book of Homilies was published in July 1547. ● In August 1547, an instruction was issued that the Epistle and Gospel should be read from the English Bible on Sundays. ● An “Order for Holy Communion” (January 1548) provided for vernacular Communion devotions during the Latin Mass, including the exhortations, confession and absolution. It introduced in English the Comfortable Words and the Prayer of Humble Access, along with a formula for the administration of Holy Communion in both kinds. ● By May 1548, many parishes were singing whole services in English. Shortly after this, John Marbecke was asked to write a chant, based on mediaeval examples, to fit the new vernacular service. ● In September 1548, a group of bishops was summoned to Chertsey Abbey and Windsor to agree on ‘a uniform order of prayer’ for the Church of England. ● The first Book of Common Prayer was sanctioned by Parliament on 21 January 1549, with a requirement that it was to be used by Whitsunday, 9 June 1549. The Book of Common Prayer was drastically revised in 1552, and it was more subtly changed in 1559 and 1662. It remains, in law, the primary liturgical prayer book of the Church of England, although it has been largely replaced by modern prayer books, most recently Common Worship. The work of producing English-language books for use in the liturgy was, at the outset, undertaken by Thomas Cranmer (1489-1536), Archbishop of Canterbury (1533-1556) during the reign of Henry VIII and Edward VI. 1, To rid the church of the abuses that existed. 2, To return, as far as possible, to the pattern of worship of the early church. It was not until Henry VIII’s death in 1547 and the accession of Edward VI that the reform gathered pace. Cranmer finished his work on an English Holy Communion rite in 1548, obeying an order of Parliament that Holy Communion was to be given as both bread and wine. 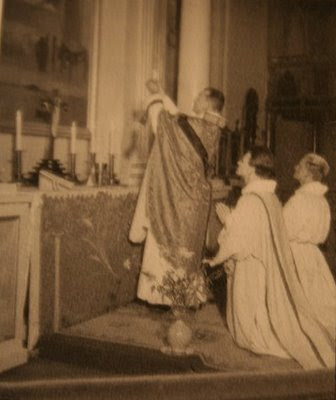 The service existed as an addition to the pre-existing Latin Mass. It was included, one year later, in 1549, in the full prayer book, set out with a daily office, readings for Sundays and Holy Days, the Communion Service, Public Baptism, of Confirmation, of Matrimony, The Visitation of the Sick, At a Burial and the Ordinal (added in 1550). The 1549 Prayer Book describes the Holy Communion or Eucharist as ‘The Supper of the Lord and the Holy Communion, commonly called the Mass.’ Some notable survivors from the priests’ private prayers before Mass include the introductory Lord’s Prayer, to be prayed by the priest alone, and the Collect for Purity. In the old Mass, the emphasis was on the offering of the bread and wine which were to become the body and blood of Christ. Now the emphasis was on the offering of thanks and praise for Christ’s one sacrifice, and the offertory included a collection for the poor. At this stage, the congregation would move into the chancel, around the altar for Communion. In the past, people only received rarely, perhaps at Easter; now reception was inseparable from participation. But despite the reformers’ hopes, few remained for communion, and the service often ended there. If it continued, then the Eucharistic prayer was based on the older canon of the Mass. But the intercessions served to abolish the practice of private praying. The blessing of the gifts of bread and wine included the sign of the cross and an invocation of the Holy Spirit. The words of institution were widely regarded as the consecration, with a direction that there should be no elevation. The words of administration were deliberately ambiguous. Meanwhile, stone altars were removed and replaced by wooden tables, with the direction that they were to be placed in the chancel, lengthwise, so that communicants in the chancel stalls could knell around them. The 1552 Book of Common Prayer marked a considerable change. In response to criticisms by Peter Martyr, Martin Bucer and others, deliberate steps were taken to excise Roman Catholic practices and to introduce more Calvinist ideas to England. The Holy Communion service in the 1552 Book was yet another stage in a process that began in the 1530s. Similarly, the 1552 services of Morning Prayer and Evening Prayer were the next stage in a process that began with the first introduction of English into the Latin offices in 1543, and the two revisions of the Breviary, before the publication of the two prayer books. The decision to proceed with liturgical revision and reform by stages expressed a concern by the Tudor monarchy for cohesion and unity, and Cranmer’s concern for the spiritual unity of the Church. Between 1549 and 1552, Cranmer was engaged in a controversy with Bishop Stephen Gardiner on the Lord’s Supper. Cranmer expressed a respect for antiquity, yet appealed to antiquity when he thought change was needed. He drew on the liturgical work of Justin Martyr, Tertullian, Cyprian, De Sacramentis, Pseudo-Dionysius, Isidore, the Liturgy of Saint John Chrysostom and other Orthodox sources, the Mozarabic Missal, and the use of the epiclesis in the Eastern or Byzantine liturgies. 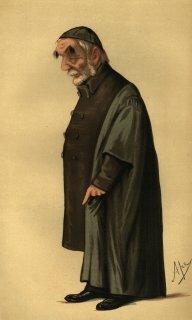 Four centuries later, the Lambeth Conference of 1958 would argue that the ‘recovery of the worship of the Primitive Church’ was ‘the aim of the compilers of the first Prayer Books of the Church of England.’ [Lambeth Conference 1958, Resolution 74 c.] But Cranmer also drew on the work of others, including Cardinal Quinones and the Lutherans. The second Prayer Book was introduced in England in 1552, although it was never authorised for use in the Church of Ireland. 1, Gone were the words Mass and altar; the stone altars were to be replaced by movable, wooden tables. 2, The Introit Psalm of the 1549 book was omitted. 3, Gone was the Kyrie (‘Lord have mercy’), to be replaced by the Ten Commandments, used as a kind of litany. 4, The Gloria was removed to the end [Why?]. 5, After the collection for the poor came the intercessions, including a prayer ‘for the whole state of Christ’s Church militant here on earth’ but no reference to the faithful departed. In this position, they could be said whether or not there was Communion, and they were not associated with the communion and its mediaeval connotations of sacrifice. 6, Gone was any reference to an offering of a ‘Sacrifice of praise and thanksgiving’ in the Eucharistic prayer, which ended with the words of institution (‘This is my body ...This is my blood...’). 7, Then came the restructured canon: confession, absolution, the comfortable words, Sursum Corda, Preface and Sanctus, and the Prayer of Humble Access [The reason?]. 8, The part of the prayer that followed, the Prayer of Oblation, was transferred, much changed, to a position after the congregation had received communion. 9, The words of institution were no longer referred to as the consecration, although this title would be restored in 1662. 10, The epiclesis, which Cranmer had introduced from patristic or Byzantine sources in 1549, was (inexplicably) omitted in 1552. 11, The words at the administration of communion in the 1549 Book of Common Prayer described the Eucharistic species as ‘The body of our Lorde Jesus Christe ...,’ ‘The blood of our Lorde Jesus Christe ...’ In 1552, the words of administration were replaced with the words, ‘Take, eat, in remembrance that Christ died for thee ...’ &c.
12, Communion was followed by the Lord’s Prayer and either a prayer of thanksgiving or a prayer offering praise, thanksgiving and self-oblation. 13, The Peace, at which in earlier times the congregation had exchanged a greeting, was removed altogether. 14, The Gloria was said or sung before the blessing. 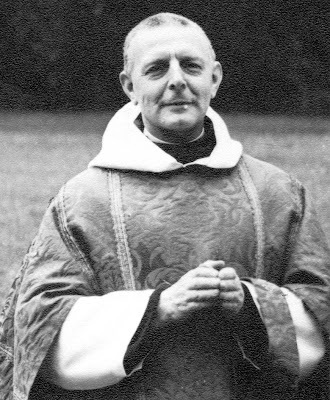 15, Vestments such as the stole, chasuble and cope were no longer prescribed, but only a surplice. 16, The ‘black rubric’ was introduced – this declaration on kneeling was only added after the printing process began, so it was omitted from some printed copies. It was omitted again in 1559, but was reintroduced, with changes, in 1662. But it was not an ordinary rubric, and was printed in black rather than red. It was the final stage of Cranmer’s work of removing all elements of sacrifice from the Latin Mass. 13, Traditional doctrines and practices were reformed or removed where they were seen to conflict with Biblical theology (including concept of sacrifice, transubstantiation, reservation, confessional, invocation of the saints, and petitions for the departed). Under Elizabeth I, the alterations of the 1559 Book of Common Prayer from the 1552 version, though minor, had major implications. Instead of banning vestments, the ‘Ornaments Rubric’ of 1559 allowed what had been used ‘in the second year of K[ing]. Edward VI.’ This allowed the more traditionalist clergy to retain some of the vestments they felt were appropriate to liturgical celebration. The cope and surplice remained the prescribed vesture for celebrations in cathedrals and collegiate churches, and this rubric was used in the 19th century to restore vestments such as chasubles, albs and stoles. ● At the administration of the Holy Communion, the words ‘the Body of our Lord Jesus Christ,’ &c, were combined with the words of Edward’s second book, ‘Take eat in remembrance …,’ &c.
● The prohibition on kneeling at the Communion was omitted. In the reign of James I, the liturgical changes included altering the title of the confirmation service, limiting the administration of private baptism to those who had been ordained, adding to portion of the Catechism dealing with sacraments, and introducing new prayers of thanksgiving. The 1662 Book of Common Prayer was printed two years after the restoration of the monarchy. With the exception of the modernisation of only the most archaic words and phrases, the actual language of 1662 changed little from that of Cranmer. 1, The inclusion of the Offertory by inserting the words ‘and oblations’ into the prayer for the Church and the revision of the rubric to require the monetary offerings be brought to the Table (instead of being put in the poor box) and the bread and wine placed upon the Table. Previously it was not clear when and how bread and wine were produced. 2, A number of new rubrics, marked by greater fullness and clarity, ensuring reverent behaviour. They included providing for the restoration of the fraction (the breaking of the bread), though in a new position. 4, The concept of consecration of the elements was made explicit. 5, There were new regulations about further consecration if the elements ran short. 6, After the Communion, the unused but consecrated bread and wine were to be reverently consumed in church rather than being taken away and used for any other occasion. 7, A new General Thanksgiving was provided. 8, A service of adult baptism was provided for [Why?]. 9, The requirement of Episcopal ordination was made absolute. 3, A rubric on the positioning of the Lord’s Table or Altar. It is often said that the 1662 Book of Common Prayer is Cranmer’s text with Laudian rubrics. Others argue that it subtly subverted Cranmer’s purposes, leaving it for generations to argue over the precise theology of the rite. However, it would be wrong to say that because Cranmer was negligent about rubrics he did not believe in consecration, or thought Christ’s institution to consist simply of eating and drinking without thanksgiving or manual acts. In reality, he stressed the importance of thanksgiving in his third exhortation and prayer of oblation; omitted the fraction only because the incidental reference to it was misused by Stephen Gardiner; and always adhered to the idea of consecration. 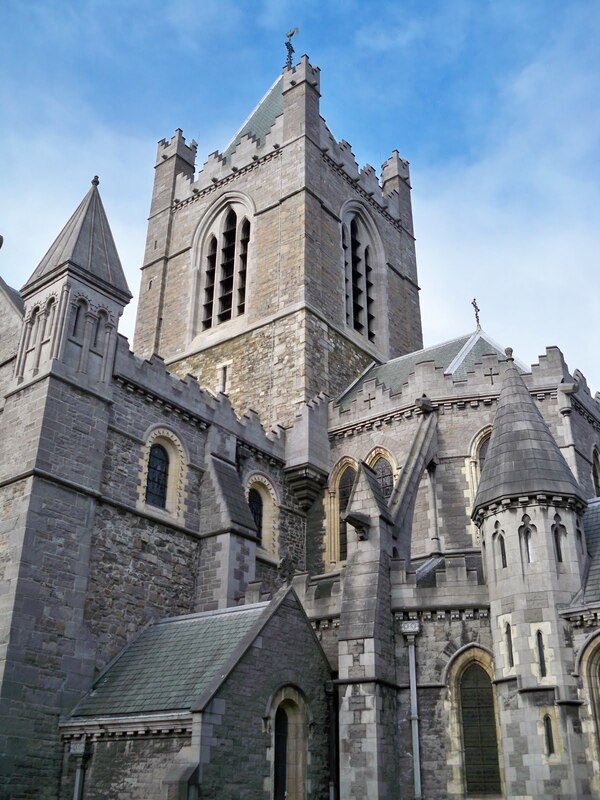 At the time of the Reformation in England, the Church of Ireland had no convocation. And so the Reformation was introduced through government writ rather than through ecclesiastical measures. Edward VI’s Act of Parliament which commanded that Holy Communion should be given “under both kinds” applied to the “people within the Church of England and Ireland.” The Proclamation affixed to “The Order of the Communion” (1548) made no distinction between the two countries. However, only one attempt was made to introduce the Order in Ireland. 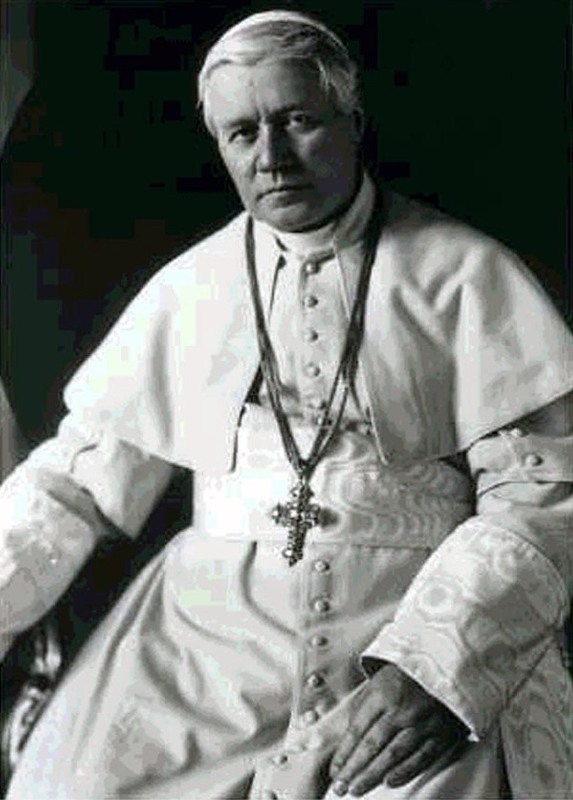 But those efforts by Bishop Edward Staples of Meath caused such uproar that both he and the other bishops took refuge in silence in the years immediately after. Eventually, in 1551 a royal letter was sent to the Lord Deputy reminding him that the king had “caused the Liturgy and prayers of the Church to be translated into our mother tongue of this realm of England.” He was instructed that The Book of Common Prayer was to be provided in English in places where English was understood. 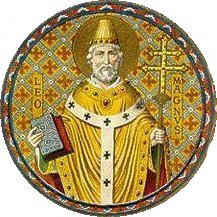 St Leger summoned an ecclesiastical assembly of the bishops and clergy and placed the order before them. 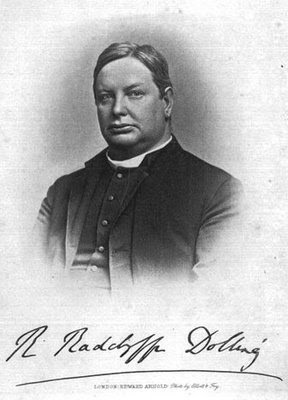 It was strongly resisted by Archbishop George Dowdall of Armagh, who left the assembly with the greater part of bishops. Those who remained included Archbishop George Browne of Dublin, Bishop Staples of Meath and three others. On Easter Day, 29 March 1551, the first Book of Common Prayer (1549) was introduced for the first time in the Church of Ireland. This service in Christ Church Cathedral, Dublin, was the first occasion on which the post-Reformation liturgy in English was used in any church in Ireland. But this was a culturally significant moment in Irish life in general too, for this was the first book printed in Ireland. St Leger also had The Book of Common Prayer translated into Latin, but instructions to have the services read in the Irish language were not followed in areas where people used Irish as their first language. In other words, the majority of people on the island were by-passed or ignored. Only five Irish bishops, led by Archbishop George Browne of Dublin, were prepared to use The Book of Common Prayer. The Archbishop of Armagh left his diocese, saying ‘he would never be a bishop where the Holy Mass were abolished,’ and fled the country. And so, the progress of The Book of Common Prayer in Ireland was very slow from the beginning. In the greater part of the country English was less understood than Latin. A year after the introduction of the book, in 1552, St Leger found great negligence. The old ceremonies were still being used in many places, even in English-speaking cities and towns. The second Book of Common Prayer (1552) was never authorised for use in Ireland, and its only recoded use was when John Bale insisted on using it for his consecration as Bishop of Ossory in Dublin on 2 February 1553, although the Dean of Christ Church protested against its use. In January 1560, the Irish Parliament introduced the 1559 Book of Common Prayer with the passing of the Act of Uniformity. The 1559 book was printed in both English and Latin, but not in Irish. The Latin translations were made in 1560 and 1571. Eventually, the 39 Articles were accepted by the Irish Convocation in 1634. In 1665, the 1662 book was annexed to the Irish Act of Uniformity, having already been approved by the Irish Convocations, and this book, with a few minor differences, served the Church of Ireland, until a separate revised Book of Common Prayer was approved in 1878. 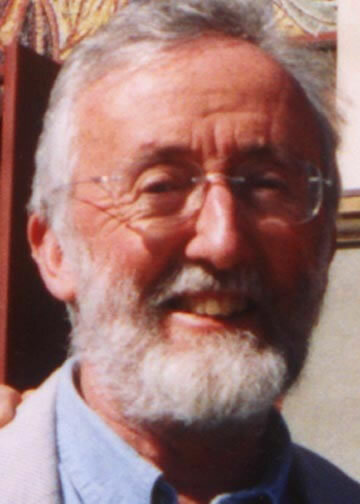 (Revd Canon Professor) Patrick Comerford is Lecturer in Anglicanism, Liturgy and Church History, the Church of Ireland Theological Institute. This lecture on 9 October 2016 was part of the MTh module TH 8824: Liturgy, Worship and Spirituality with part-time MTh students, Year III-IV.